If you are interested in changing your world, then changing how you speak to others and yourself can be the catalysts, says author Janet Smith Warfield. 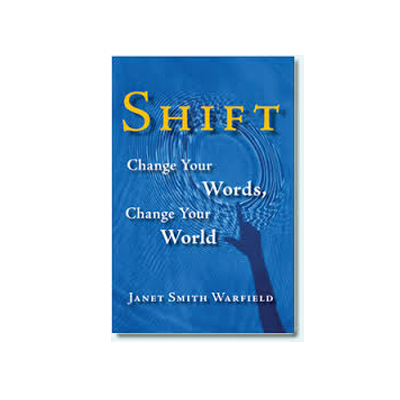 In her new book entitled “Shift-Change Your Words, Change Your World” she emphasizes the importance of words being used to sharpen your focus, expand our thinking, and transform our planet. Janet had an epiphany early in life, she realized that the meaning of words depends upon the human consciousness that hears and understands the words. Words have meaning only in the context of particular experiences and mindsets. Words carry energy and can be used to heal, transform, or to harm – the choice is yours. In my interview with Janet we explore the power of words, and the importance of a mutual understanding of our use of words. 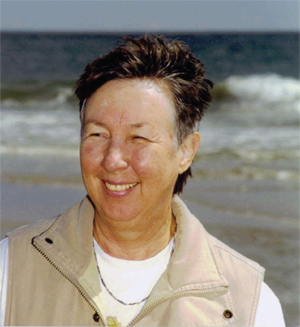 Janet states in her book that when we try to move beyond the edge of the “Human Truth Puzzle”, we can’t know, we simply have to trust. That’s what a leap of faith is all about . We leap beyond our linear thinking our divisive language, and our fear of the unknown to free our creativity. We all have the ability to put this “Human Truth Puzzle” together, but it’s not easy. Janet says “Who is up to the challenge of looking hard at his or her own thoughts, emotions, and actions? Words can point to Truth, but words are not Truth. This “Human Truth Puzzle” can only be experienced–as synthesis, peace, harmony and unity. As soon as we label the experience of non-dual consciousness Truth, the mind jumps in and opposes Truth to Falsehood. The human mind has then created the very duality the unification experience dispels. If you are at all interested in how words are shaping you and the world in which you live, then I encourage you to listen to this podcast with author Janet Smith Warfield. In her book “The Shift” you will be exposed to concepts, stories, and ideas that will most likely stretch your thoughts about how words are shaping your world–and what you can do about it. Janet has a wonderful blog and website, just click on the links attached to be directed to her websites. Enjoy this wonderful interview. ← Podcast 224: The Reconnection: Heal Others, Heal Yourself with Eric Pearl Ph.D.